This beautiful all pine wood china cabinet is stunning and a great addition to your dinning room, from our mexican furniture rustic collection. 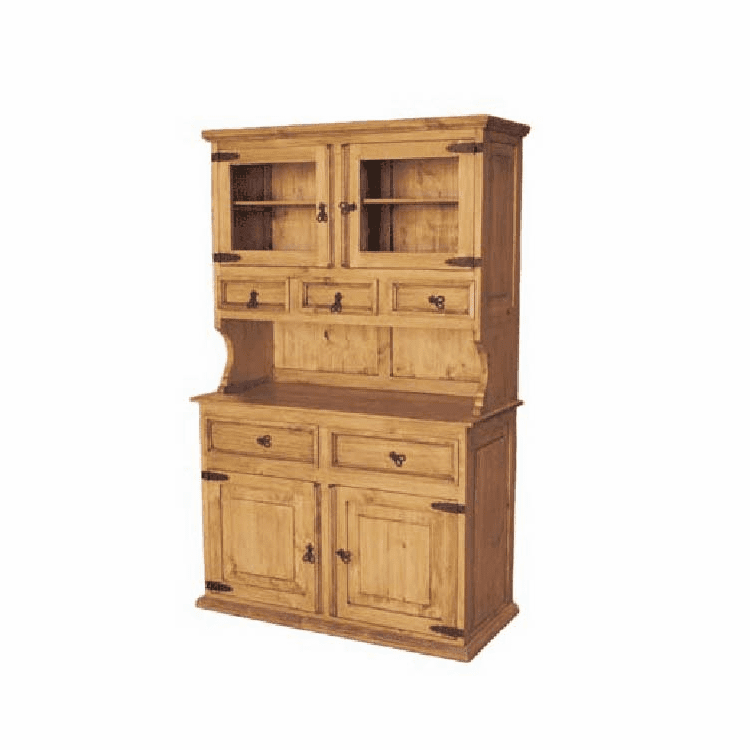 Hand-crafted from 100% pine wood buffet and hutch with forged wrought iron hardware to enhance it's rustic look. This china cabinet is two pieces. The cupboard features 2 cabinet doors with 3 drawers. The credenza features 2 pull-out drawers and 2 cabinet doors for more storage. Glass panels are included. Comes in 2 pieces, each piece is assembled.